We would love to hear from you. If you follow the links to the relevant section there is a form that will put you in contact with the relevant people. We have managed to secure some parking space near the lock from which we can operate from. the farmer who owns the land behind the lock and Rye Meadow has fenced off a 30m x 5m area for us to park. Access to the river is a short walk away. 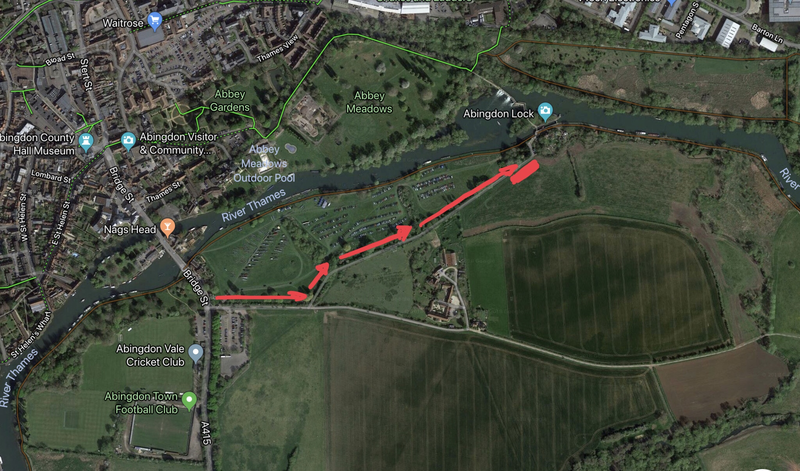 Access by car is via the track next to Rye Meadow Carpark. The track is tarmacked, but is only single carriageway with limited passing opportunities so please take care. Please be discrete when getting changed and unloading. 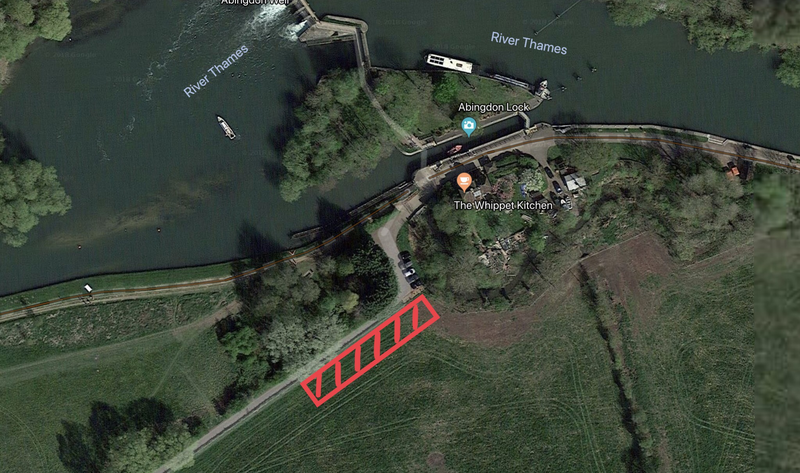 There is a space 30m x 5m if there is no space in the allocated area please drop your kit off, park in the Rye Meadow car park and walk (or beg a lift) back up. Do not park outside of the allocated fenced area. There is a turning spot just passed our spot close to the lock. Please launch either downstream, below the lock and weir or upstream above the sanitary station well clear of the lock entrance. The maps below show the location and access route.